200 bankers from almost 30 countries came in droves to receive their plaques. Asian Banking and Finance made history this year with a record number of nominations from banks located in Singapore to as far as Turkey. Winning banks all gathered at the Marina Bay Sands, Singapore on July 10, and witnessed the World Cup of banking and finance as top executives went up on stage to reaffirm their position in the financial sector. 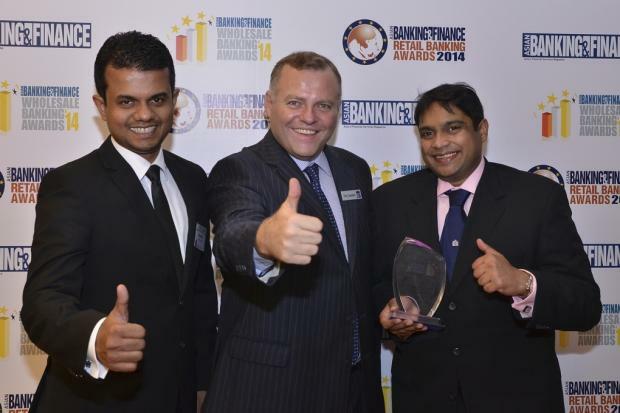 Nominations in wholesale and retail banking sent by top Asian banks were evaluated by Antony Eldridge from PwC, Egidio Zarrella from KPMG, Mohit Mehrotra from Deloitte Consulting, Liew Nam Soon from Ernst and Young Advisory LLP. ABF publisher Tim Charlton says, "This is a not a night of competition but of celebration as each bank present is a winner in their respective area. Congratulations."